Merrill Leigh Bennett, entered eternal life on Sunday, February 10, 2019 at Clark Memorial Hospital. He was a retired Funeral Director, member of the American Legion Post 204 in Sellersburg and the Sellersburg Moose Lodge. Surviving are his fiancé, Gayle Bennett, Henderson, Kentucky, sons, Brian Bennett, Henderson, Kentucky, Derek (Kaci) Bennett, Elgin, Oklahoma, daughters, Nancy Williams, Princeton, Indiana, Tonya (John) Fredrick, Tracy (Kendall) Gaddis, Henderson, Kentucky, sister, Susan Zihar, Sellersburg, Indiana, several grandchildren and several great-grandchildren. 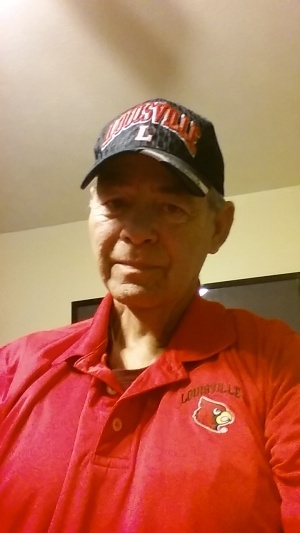 A memorial service will be held 1PM Wednesday at the Garr Funeral Home in Sellersburg. Visitation will be Wednesday from 11AM until the time of service. In lieu of flowers, memorial donations can be made to the American Legion Post 204, 412 N. New Albany Ave, Sellersburg, IN 47172. Online condolences can be made at www.garrfuneralservices.com.